A friend and colleague needed to transfer the details of a file's contents. As there were too many items and didn't have spare time to sit and type them out, she was preparing to send screen-captures. Unfortunately, no matter which way she sorted things, private company files would be in the view (or should I say views, as there were three screen-captures in total), also revealing some files that maybe she shouldn't - her idea was to get me to 'Photoshop' the files out and merge the three images in to one. I first used this technique a good-few-years-ago and have taken it for granted that everyone knew how to do it, but the quick and easy process almost blew the mind of my non-techy colleague. So, without further delay, here it is. 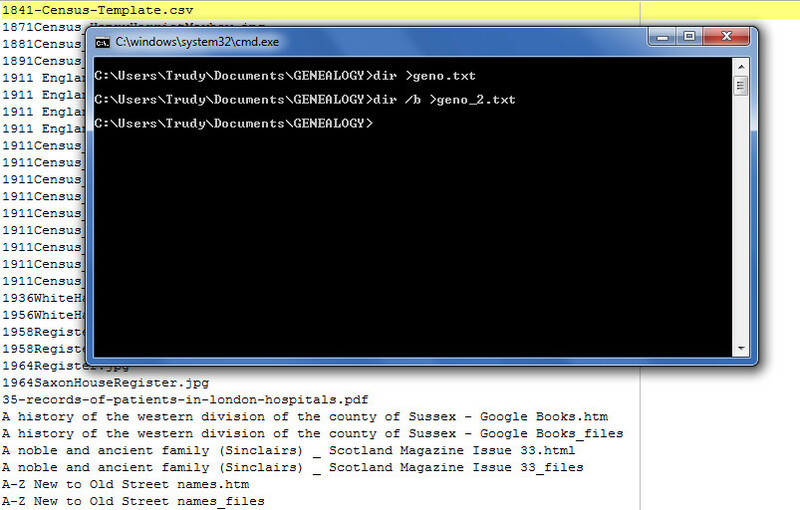 By holding down the Shift key and right-clicking on my main genealogy directory, I can select ‘Open command window here’ or click the 'w' key (as illustrated, you will note the 'w' of command window is underlined). 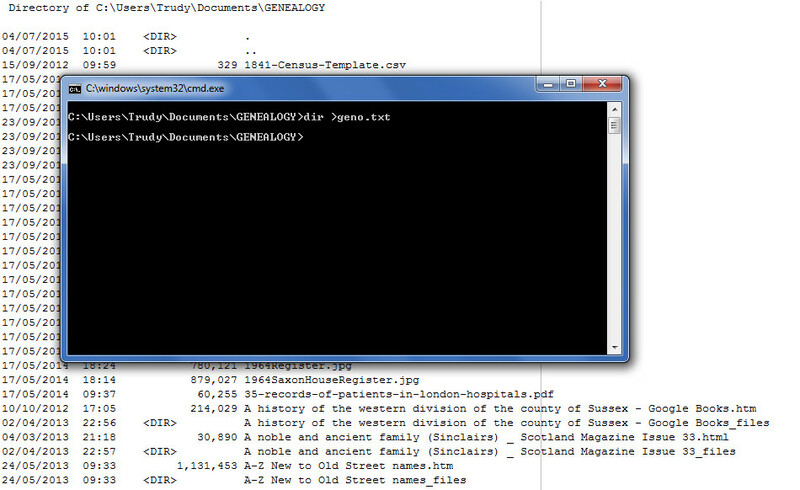 Which you can combine to capture only file names dir /b /s >[name of file].txt will do the trick. Taking this a little further, as the text files are producing delimited data, it's any easy process to import into Microsoft Excel. My colleague is now very grateful for asking me (even if I did laugh at her at first).